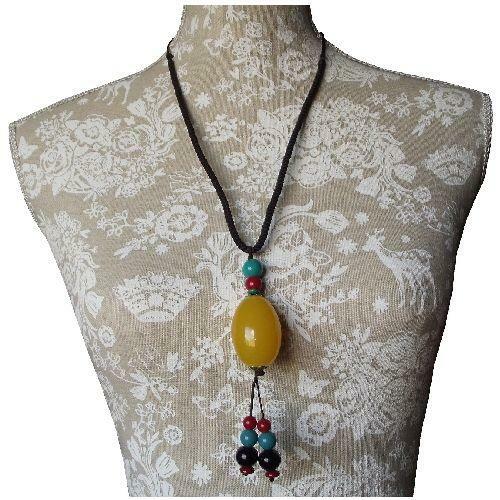 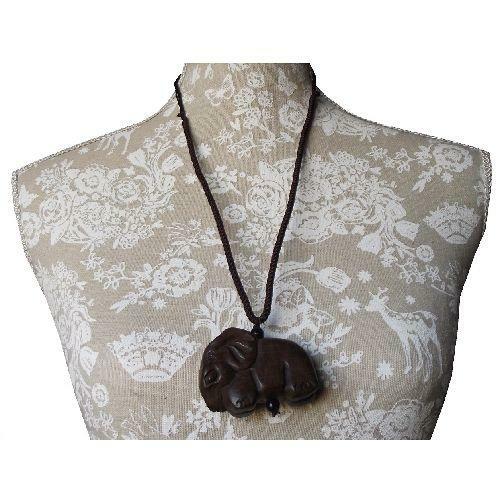 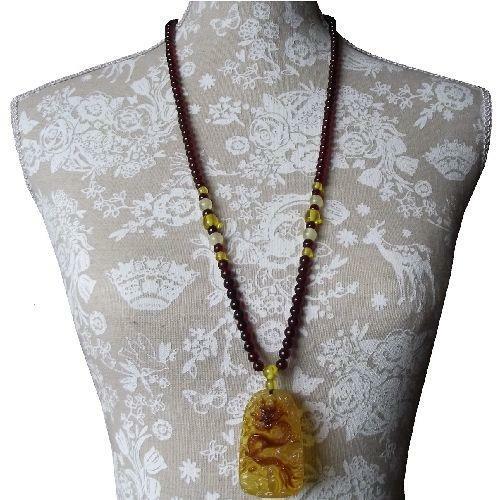 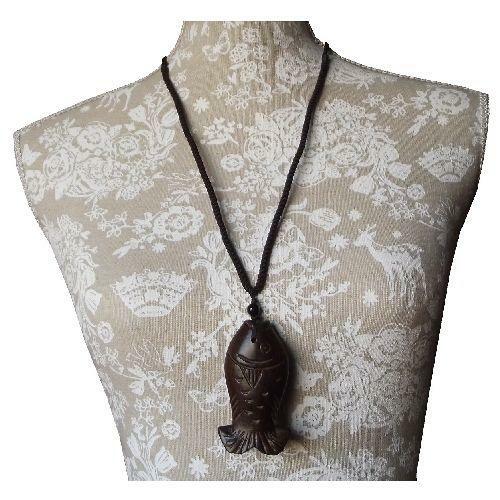 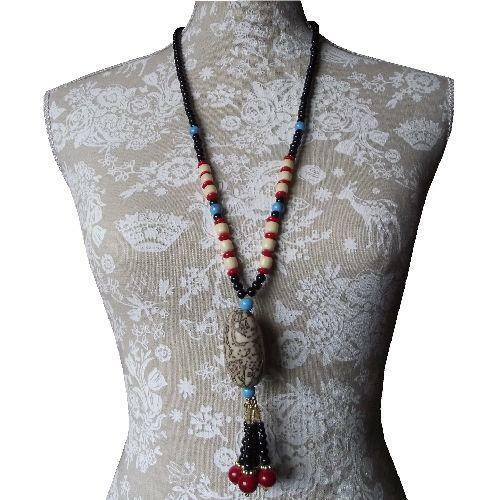 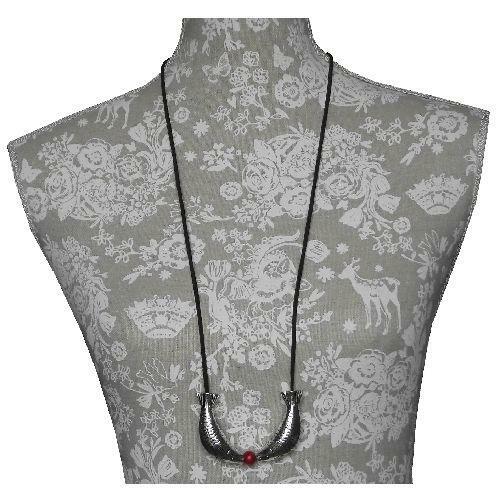 Chinese Tibetan style necklace with a large lotus root charm and oriental fruit. 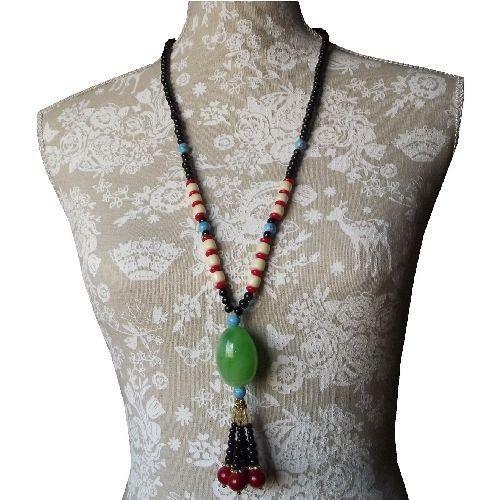 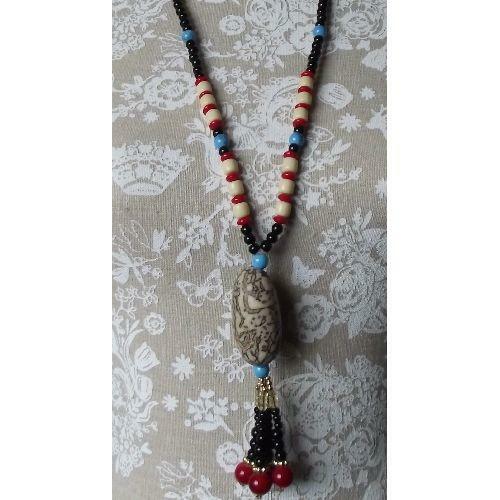 The oriental fashion necklace is made with 6mm black acrylic beads, and red, white, and turquoise beads with colourful spacers. 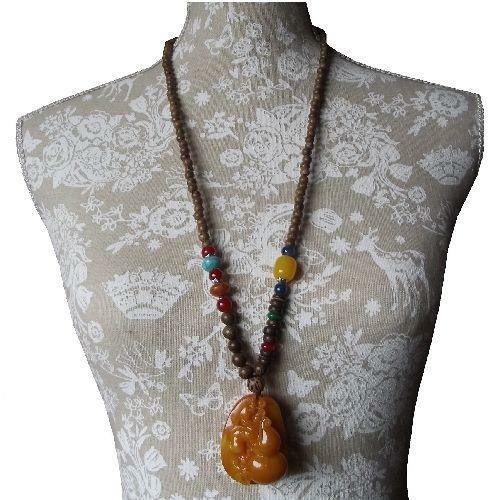 The fruit, and lotus flower roots are highly symbolic. 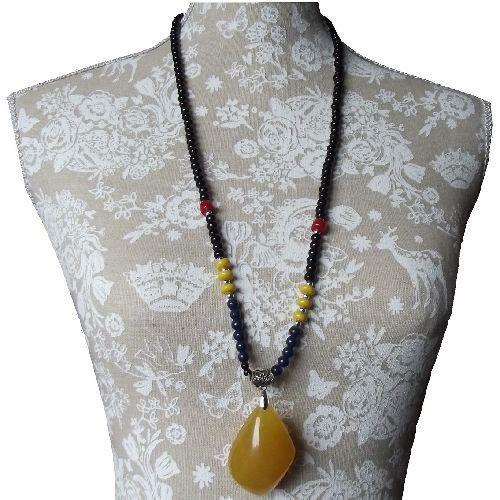 Because of their gold colour, it is said that oranges represent wealth and good fortune. 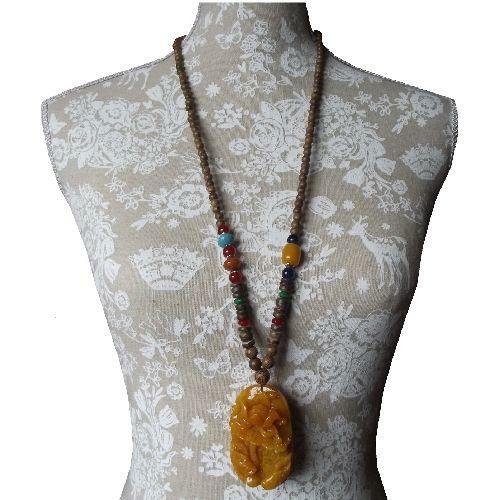 The lotus is considered to be a sacred flower in China, and is closely associated with Buddha. 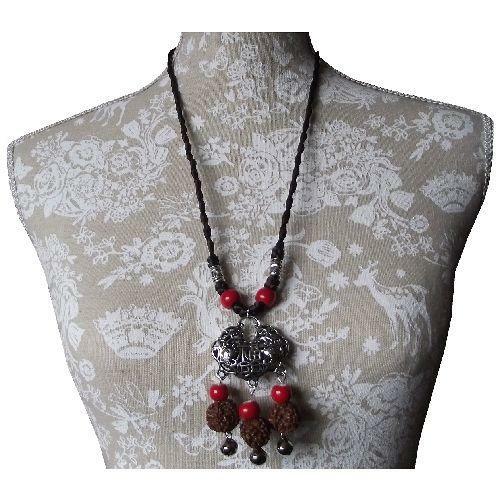 The lotus symbolises peace, purity and serenity.